Is Hong Kong your gateway to China and float down the famous three Gorges of Yangtze river? Then don't miss our specially designed jourmeys - China & the Yangtze tour from Hong Kong 2019 ! Dig into the very heart of China - Beijing, Shanghai, Xian, Guilin, Chengdu, Tibet...more. Features: Get to know the ins and outs of Hong Kong Island by taking the comprehensive half-day tour that touches on all the highlights of Hong Kong. 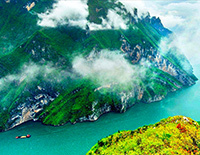 Fly directly to Chongqing for a 4-day downstream Yangtze River cruise to Yichang while appreciate Three Gorges and Three Gorges Dam along the way. 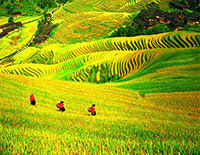 Features: This tour provides you China's stunning landscapes, ancient culture and unique architecture. With a Yangtze River cruise, you'll discover China's unique blend of ancient traditions and modern cities, explore world treasures. Experience the best of China in one go! 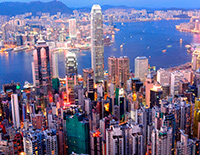 Hong Kong: the most energetic city; Yangtze Cruise: get to the heart of China’s culture, history and beauty; Xian: the ancient heart of China; Beijing: the imperial capital of the world. Started from the shopping paradise - Hong Kong, your trip covers the China of yesterday, today and tomorrow. We will take you to the most important historical and modern cities in China. 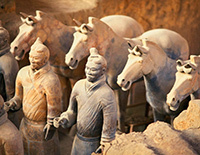 You will visit the major sites in Beijing & Xian, such as the Great Wall, Forbidden City, Terracotta Warriors. Get face to face with giant pandas and enjoy the relaxing Yangtze Cruise before ends your tour at the metropolis Shanghai. With numerous attractions, this China tour starts from the dynamic Hong Kong with a mix of the east and west culture, to cities of Beijing and Xian, both have deep cultural sites and long history. 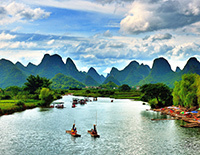 After the cultural exploration, you’ll be taken to a nature land of Guilin and experience a lifetime Yangtze River Cruise to enjoy the authentic scenery. Besides, the skyscrapers and neon signs in Shanghai gives another enjoyment of modern life. See the charm and beauty of China in one go! Hong Kong: the most energetic and world-famous metropolis; Guilin: most beautiful landscape under the heaven; Yangtze cruise: get to the heart of China’s culture, history and beauty; Shanghai: the modern metropolis and world finance center; Beijing: the imperial capital of the world. See the charm and beauty of China in one go! 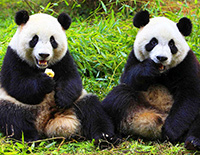 This tour offers you a wonderful experience in the thriving mega city Hong Kong & Shanghai, a fantastic cruise on the spectacular Yangtze River, a relaxing trip to Guilin - the most beautiful landscape under the heaven, as well as fun experience in Chengdu Panda Base to meet the lovely giant pandas. And your tour will be more exciting with cultural explore in the capital city Beijing and the city of Xian. Fly directly from Hong Kong to reach the ethnic minority kingdom – Yunnan to fully explore the splendid minority culture. You’ll not only have a basic understanding about the 25 ethnic groups, but also have an in-depth knowledge about Yi, Bai, Naxi ethnic groups. Besides the stunning ethnic exploration, you’ll catch the chance to meet the iconic sights of China in the classic destinations.